Reusable nappies are the hardest part to choose. The reusable nappy is what provides the absorbency. There are all sorts of factors which make a good reusable nappy choice for your situation, so you have to weigh up the pros and cons. There is no single design which works for everyone. Just because one person you know might love or hate a particular reusable nappy doesn't necessarily mean you'll feel the same way about it. Trust me on this, I know what I`m talking about. Sized nappy systems are amongst the easiest to use, and are a particularly good option if your baby is going to be at nursery under 6 months old. Using a smaller size of nappy for the first few months means you will always get a nice neat fit, and excellent containment. These cleverly designed nappies can be folded down into a smaller setting, allowing you to use them from birth right through to potty training. They offer great value for money and are very convenient if you have a toddler and a newborn in nappies at the same time, as 'one nappy fits all'. 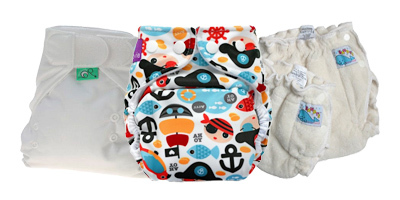 Pocket nappies consist of a waterproof outer and a fleece inner. There's an opening along the back of the nappy through which you can insert as much (or as little) absorbency as you require. They are very simple nappies to use, and usually dry very quickly. These nappies incorporate an absorbent inner with an attached waterproof outer layer, doing away with the need for a separate wrap. They are incredibly simple to use, but can be slow drying. Containment is lower than a two part system. They are perfect for any childcare, change bag or for reluctant nappy changers. These fall somewhere between a pocket nappy and an all in one nappy. They should not be confused with a shaped (two part) nappy system. 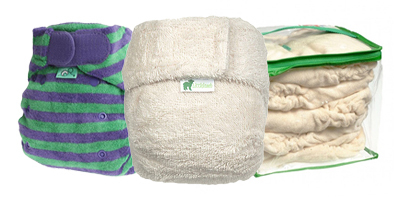 The inner absorbent pads pop on to the outer wrap and, once poppered, form a one piece nappy. The pads can be unpoppered for washing and to speed dry. 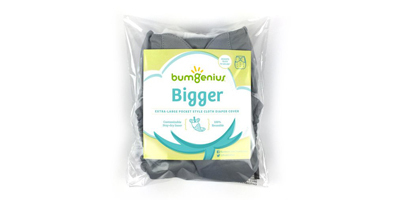 A selection of some of the most economical and fastest drying nappies, including the Bumgenius Flip nappy. 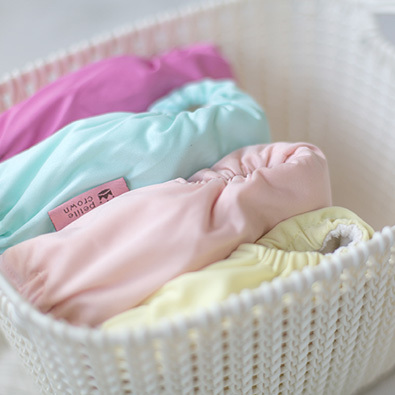 Terry squares or muslins are also well worth considering if you have limited drying facilities or need to top up your existing nappy system pending a new addition to the family. 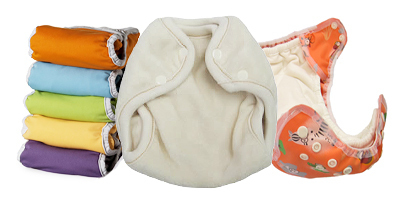 Our selection of newborn nappies are designed for use while baby is under 12lbs. Newborn nappies are incredibly trim fitting so perfect for the early days. Newborn nappies normally only fit up to 8weeks old but if baby was premature or very small you may find you get longer use out of them. A selection of eco-disposable nappies. 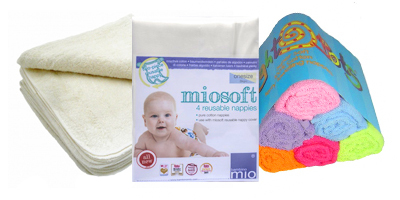 Perfect for times when you can't use reusable nappies but want a nappy with fewer chemicals than main stream brands. Our disposable inserts fit into Flip wraps and Charlie Banana nappies, so you can simply switch between cloth and disposables. Elimination Communication (EC) is a practice in which a caregiver uses timing, signals, cues, and intuition to address an infant's need to eliminate waste. Caregivers try to recognize and respond to babies' bodily needs and enable them to urinate and defecate in an appropriate place (e.g. a toilet). 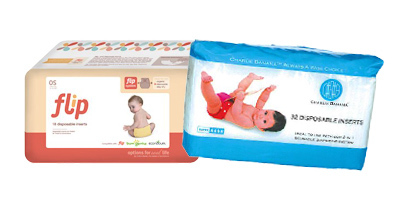 Nappies for older and larger children and teenages. Available in a variety of sizes and absorbency. Reusable nappies are also known under many other names, such as Real Nappies, Cloth Nappies, Washable Nappies or even Terry Nappies, but in the end, whatever the nappies are called, this is the page you'll find them on.